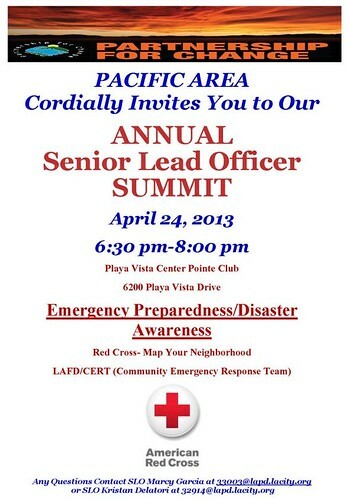 LAPD: Senior Lead Officer Summit 4-24-13 - Yo! Venice! 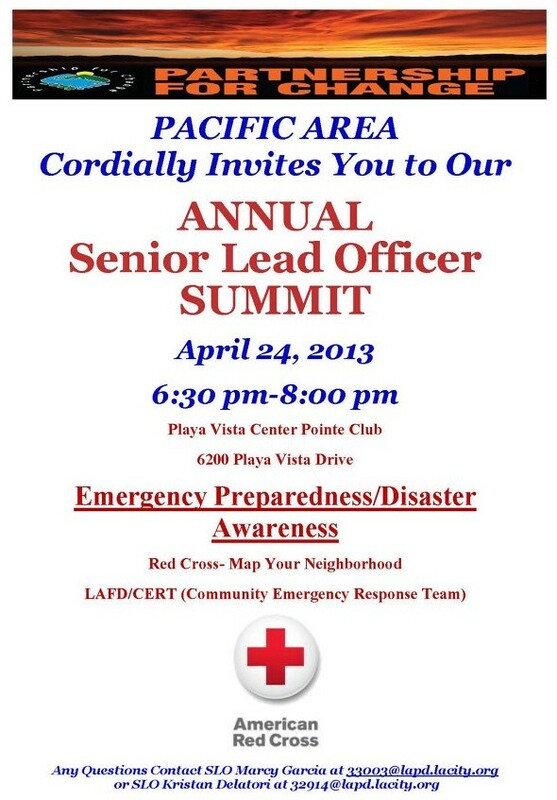 The LAPD Pacific Division will host their annual “Senior Lead Officer Summit” on April 24th this year from 6:30-8pm. Residents are encouraged to attend and meet the officers! It is a good event to thank them for the job they do and let them know how your neighborhood is doing!